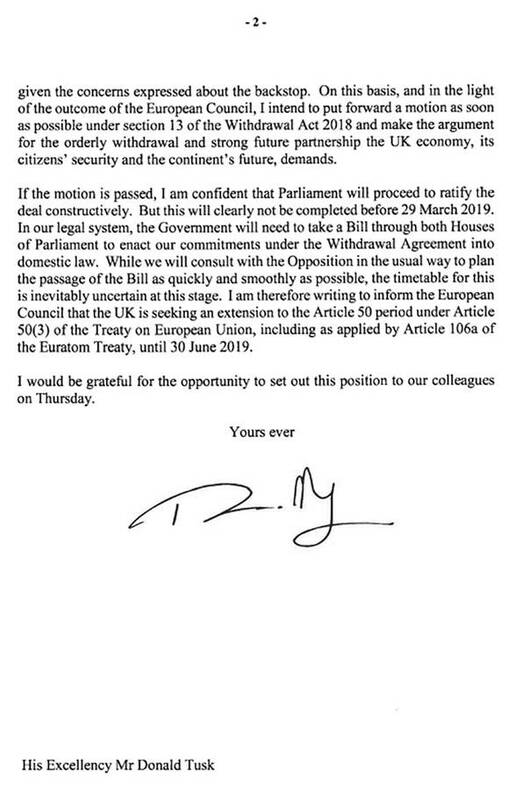 She has sent a letter to Europe asking for Brexit delay until June 30. 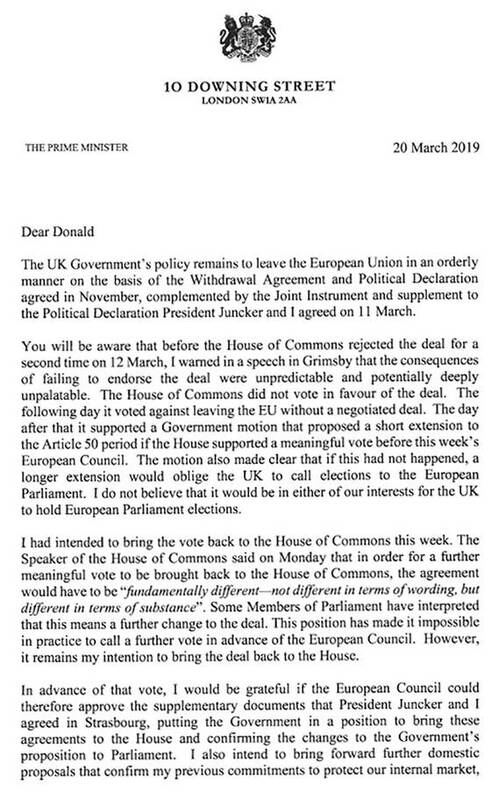 The UK is due to leave the EU next Friday, on 29 March, May says in a letter to European Council President Donald Tusk she needs more time to get her withdrawal deal passed and ratified by Parliament. The PM was hoping to ask MPs to vote over her deal for a third time, until that was overuled by speaker John Bercow. Today Jeremy Corbyn accused May of leading the UK into “crisis, chaos and division”. “We are still legally due to leave the European Union in nine days’ time,” he said at PMQ. May was heckled with calls to “resign” from the Labour benches as she took questions. 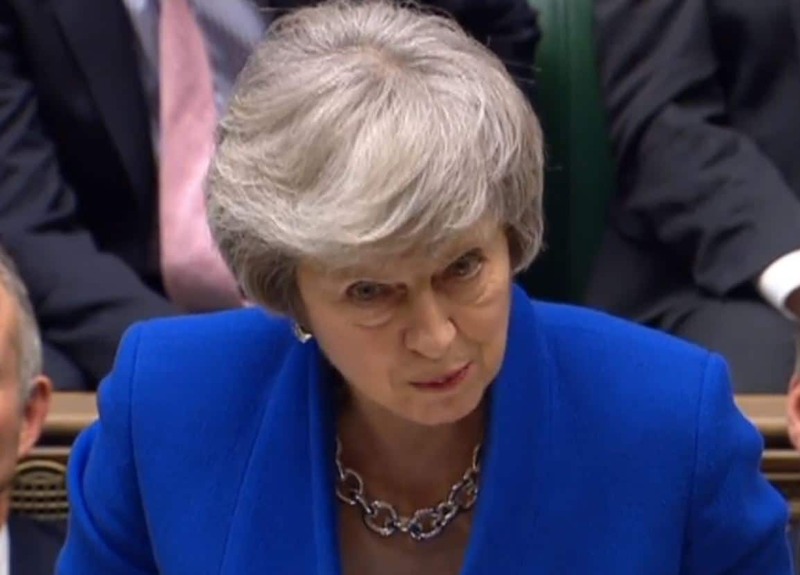 Asked if the PM would resign, her spokesman said: “She believes that what she has set out in the letter, and what she’s asking for in terms of that short extension to the 30 June, is the best way of seeing the deal ratified. Theresa May pointing out that no deal #brexit would still be a possibility at the end of any extension period.